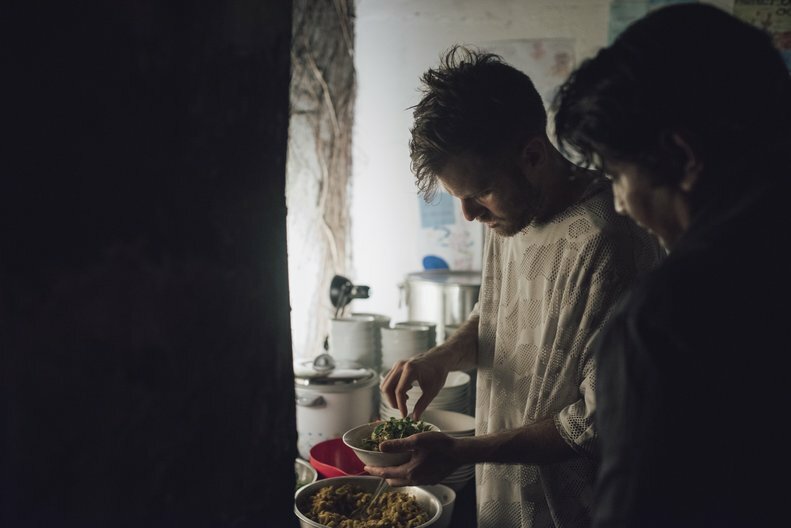 Through the Grants to Festivals and Biennales Fund, UK-based Cooking Sections were supported to present CLIMAVORE: On Mangroves and Mudflats at Colomboscope 2019: SEA CHANGE. Here we learn more about the project. Sri Lanka’s strategic locale amidst the Indian Ocean trade network gave shape to a cosmopolitan lineage of social pluralism and cultures of connectedness linking distant ‘ports of call’ from Rome in the West to China in the East, waters from the Bay of Bengal to the Mozambique Channel. How may we re-imagine the Indian Ocean world today? Not simply in extractive terms of economic growth but instead as a realm of cultural affinities, confluence of languages and a vital artistic meeting point. 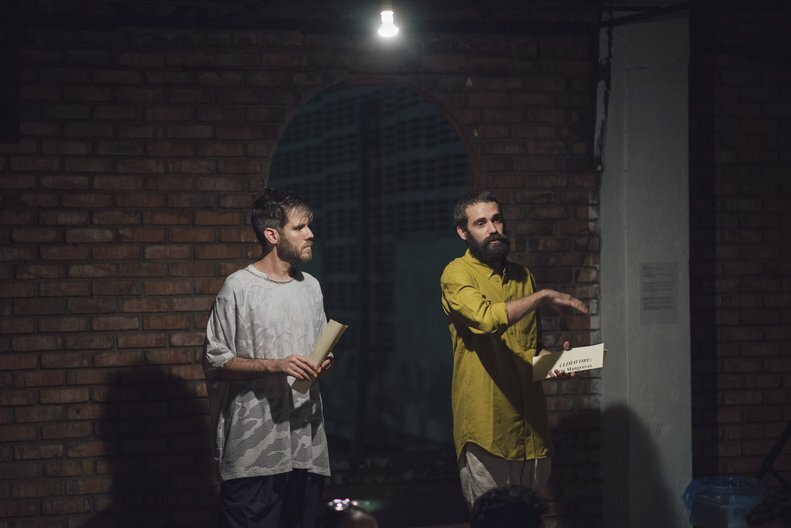 Over thirty intergenerational groups of local, regional and international visual artists, filmmakers, musicians and scientific experts participated in the sixth edition of interdisciplinary arts festival COLOMBOSCOPE - Sea Change; evoking stories of maritime history, delving into oceanic ecology and shipping infrastructure. The festival was held at different historical venues and cultural spaces in Colombo from the 24 th to 31 st of January 2019. 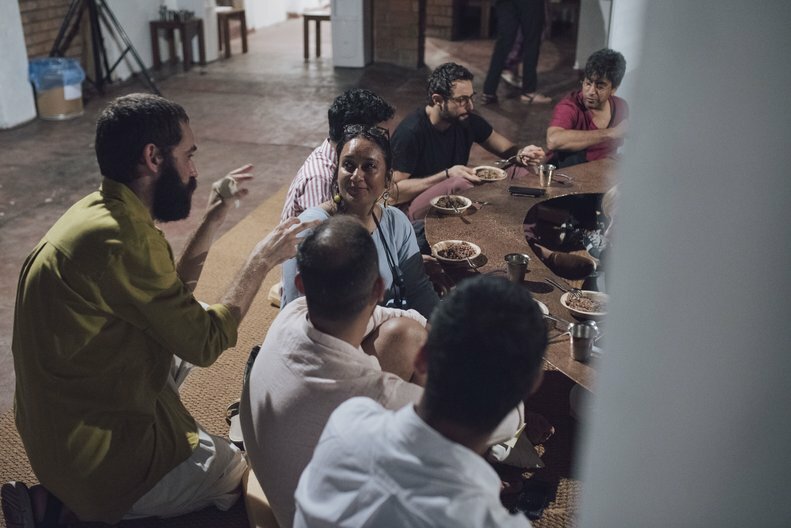 This festival edition is envisaged as a platform showcasing Sri Lanka’s creative community while generating a new phase of experimentation and international exchange. Festival curator Natasha Ginwala says, “As the island coastline rapidly transforms before our eyes, festival artists will engage with a spectrum of utopian and dystopian scenes in dialogue with the oceanic frontier.” The duo Cooking Sections (UK and Spain) push the boundaries of artistic and spatial practice by offering a future dietary regime in response to current human-induced changes in climate. 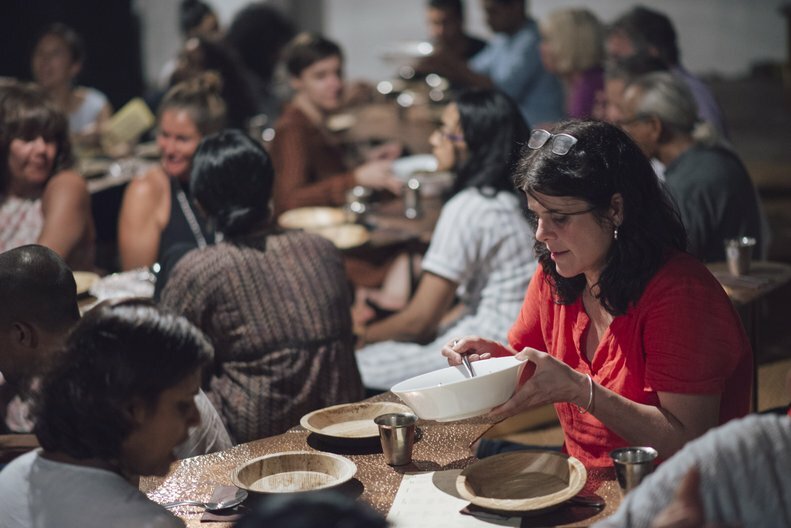 Cooking Sections’ performative dinner/installation at Sea Change - explored cases of environmental effects of climate change from along the Sri Lankan coastline with some other examples from across the world. 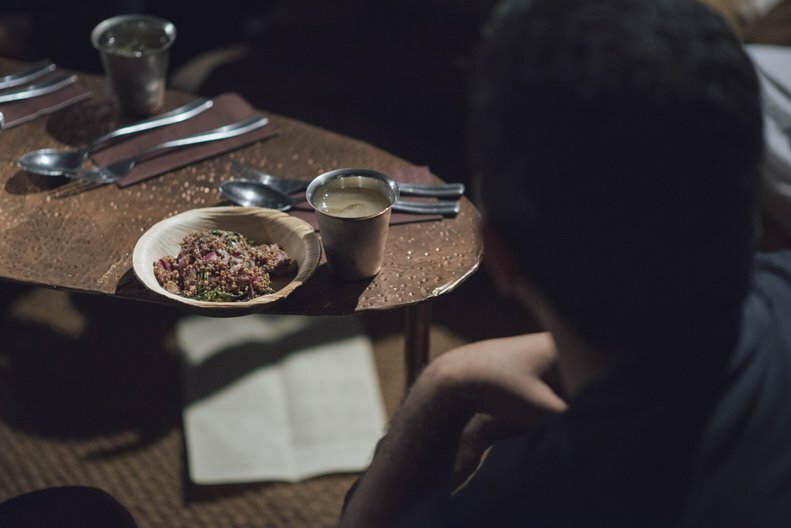 The installation functioned as a dining table with free tastings of recipes inspired by the effects of climate change, activated by Cooking Sections in collaboration with local stakeholders, residents and researchers. 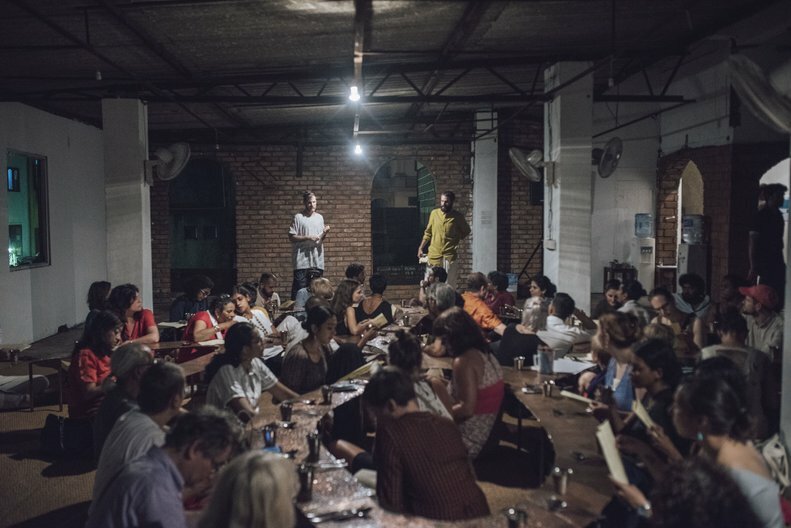 The performative meals featured the environmental challenges of Sri Lankan waters. Could you share how your long-term projects engage with aspects of coastal ecologies and climate change? In your view, what specific challenges in that regard do the waters of the Indian subcontinent experience? Coasts are a complex liminal space that has determined human and other-than-human inhabitation for centuries. And contrary to Eurocentric visions of the shore as a simple encounter between land and water, the ecology of the coast is a four-dimensional space that is becoming more and more urgent to understand if we want to respond to current man-induced changes in climate. That is how the idea of ‘Climavore’ - how to eat as climate changes - came about. We started looking into the different seasons that are starting to appear. In the case of the UK, where we are based, we have been exploring pollution by fish farms and their social, ecological and economic effects on coastal communities to think of other possible futures. In the case of the Isle of Skye, Scotland, we have been working for two years now in setting up new platforms to discuss and implement other more responsible aqua-cultures. In Sri Lanka, we were interested to understand the role of mangroves in relationship to the erosion of the coast because of shrimp and prawn farms. What brought you to performativity and architecture as part of an interdisciplinary practice to uncover some of the most unsustainable environmental practices and what has been termed "slow violence" against the planet? If we need to start exploring new cultural imaginaries, we also need to approach them from a multiplicity of disciplines and tools. It is all about raising awareness of the complexities that form and transform coastal environments and how they are constructed. That is why we always try to bring knowledge that has been produced in the fields of ecology, urban planning, visual arts or geopolitics together and think of alternative combined formats. Especially, as it has been more and more suggested, because we don't need to "manage nature". Nature can take care of itself. What we urgently need to start doing is to "manage humans" and the destruction they/we inflict upon other-than-humans. In that sense, we are also inflicting slow violence against ourselves. We would love to hear more about your dinner performance format and how this was staged at Colomboscope.